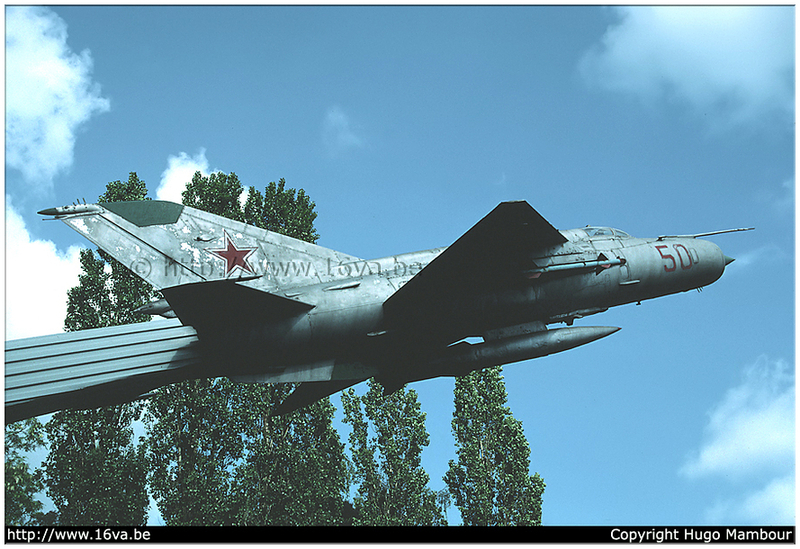 A MiG-21 (see previous picture) was put on display at Sperenberg in August 1982 to celebrate the 40th anniversary of the Group of Soviet Forces in Germany Military Air Forces (VVS GSVG). In 1982, those forces were subordinated to the 16.VA that was born in August 1942. Ivan Nikolayevich Kozhedub, triple Hero of Soviet Union and top ace of the Soviet VVS and the Allied forces with 62 victories, was invited to unveil the new memorial at Sperenberg. He is pictured in the center in the left-hand photo.